Other Info: There is an Able Seaman G A Burson named on Hastings War Memorial, but I cannot find any records on CWGC relating to that name. 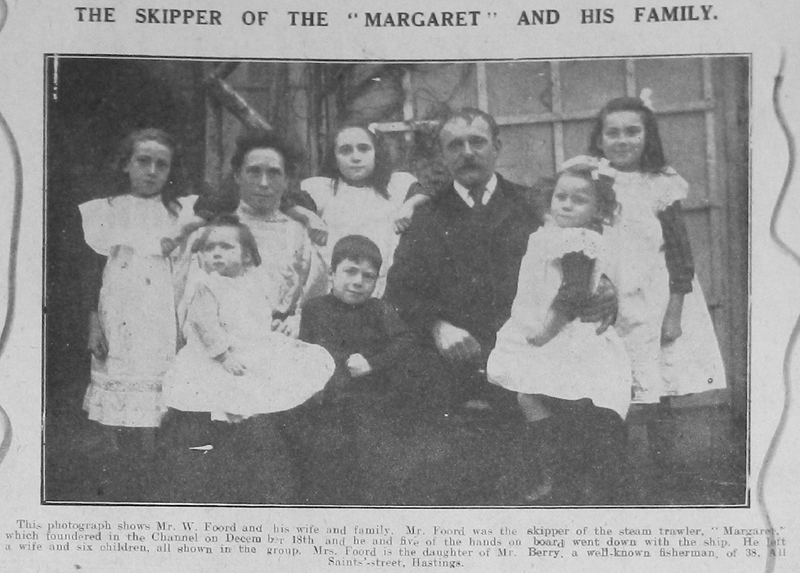 Other Info: Mr Foord was the skipper of the steam trawler ‘Margaret’ which foundered (she struck a mine) in the Channel on 18th December 1916. and he and five of the hands on board went down with the ship. He left a wife and six children, all shown in the group. Mrs Foord is the daughter of Mr Berry, a well-known fisherman of 38 All Saints Street, Hastings. The full story of the sinking of the Margaret can be read here. 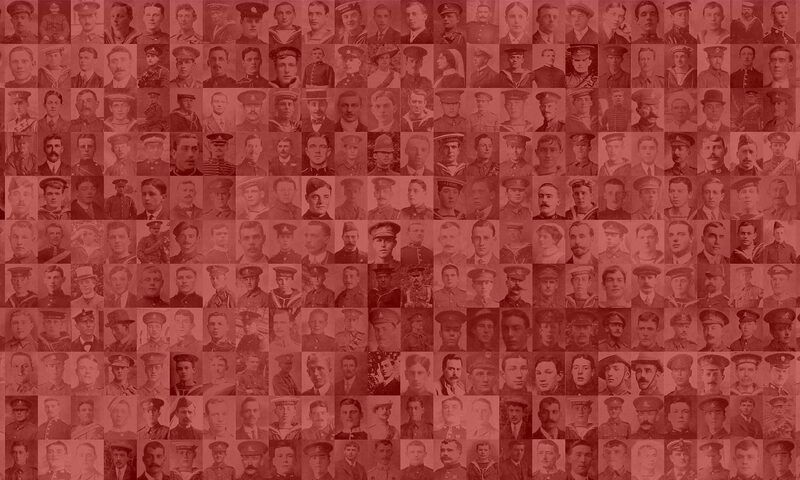 According to CWGC, William died aged 40 on 17th December 1916. He is remembered at Tower Hill Memorial. Other Info: HMS Gwenllian appears to have been a Trawler. Other Info: Assumed that the ‘Mc’ is initials mistakenly typed, give the surname of his parents. Second grandson of Councilor Dighton (sic). *The spelling of the surname ‘Diton’ corresponds with Navy records. Other Info: Lost on HMS India. According to CWGC Walter died on 8th August 1915. HMS India was sunk by German submarine U22 with the loss of 160 crew. Walter is remembered at Plymouth Naval Memorial on Panel 9.